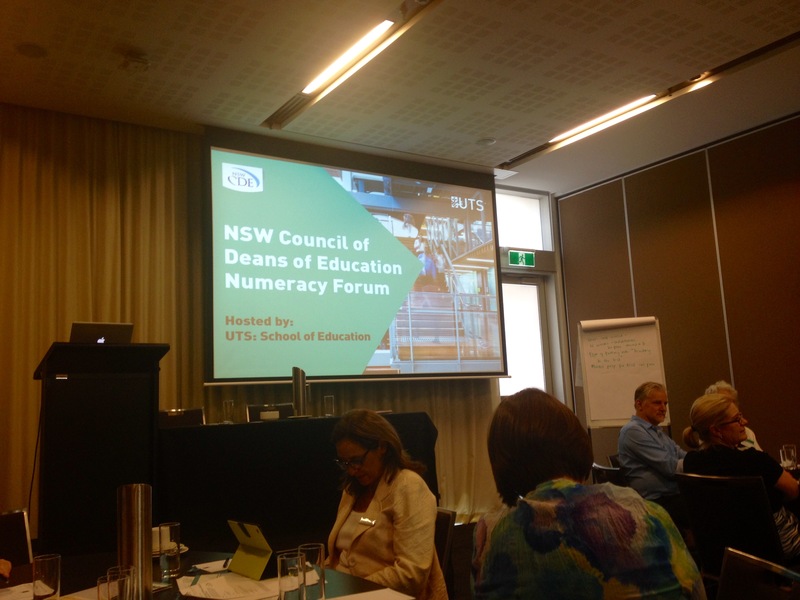 The 2016 NSW Council of Deans of Education Numeracy Forum was hosted by the School of Education, University of Technology Sydney, on 1 April 2016 at the Aerial Centre UTS in Sydney, Australia. The forum provided a unique collaborative space for scholars and professionals in numeracy education. Representatives from all NSW universities, BOSTES, the Department of Education and CEO discussed the current landscape in numeracy education and directions forward.